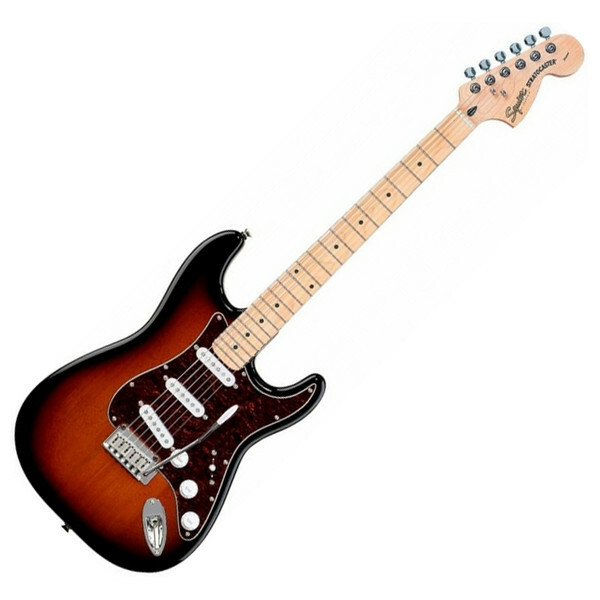 The Squier by Fender Standard Stratocaster in Antique Burst is a great playing guitar with a traditional vibe, modern feel and importanly, player-friendly features like a 22-fret fingerboard and a slimmer neck make for easier playing and choke-free bends. Alnico single-coil pickups provide plenty of punch. Few electric guitar models have the distinct history of the Fender Stratocaster. Having appeared in the hands of some of the greatest guitar legends like Jimi Hendrix, Eric Clapton, Deep Purple's Ritchie Blackmore, Dire Straits frontman Mark Knopfler and Pink Floyd's David Gilmour to name but a very small few. Its presence can still be felt today on stages the world over in the hands of some of today's legends including Iron Maiden's Dave Murray, Smashing Pumpkins' Billy Corgan and Slipknot's Jim Root. The Stratocaster is set to be a mainstay in all musical genre's for decades to come, become a part of its unique history today.